The Easter holidays are upon us, many of the kids have now finished school for a couple of weeks, so what plans have you made to keep them entertained this holiday period? We take a look what’s happening in our community! There’s free paper flower making on Tuesday 9th April, drawing workshops on 15th and 16th, and an Easter Egg Hunt on Thursday 18th! A free Children’s Event – Dance Manchester: Getting from A-B is taking place in all Sutton Libraries 9th-12thApril! This is a family event which includes dance, poetry and music. Suitable for children 6 and above. Tickets are free from Event Brite. “Fairy Tales and Puppet Theatres” is happening at the Honeywood Museum from Saturday 6th April to the 20th April. This is a celebration of family favourites, with hand puppets and toy theatres to act out stories, a story corner, a trail and crafts (make finger puppets, a lady’s headdress, Prince’s hat). Free, drop in. Opening hours: Saturday & Sunday 10-5pm. Wednesday – Friday 11-5pm. Take the kids for an Easter bounce at Better, Sutton Trampoline & Play Park where you’ll find Foam pits, slides, Under 8’s play park and a Cafe area. Over Easter you can bounce with the Easter Bunny, take part in Easter themed arts and crafts and receive a free goody bag at the end of your session. For full details, dates and times visit Better Extreme Open from 10am – 6pm. If dinosaurs are your thing, then you’ll enjoy the dinosaur trail, crafts and stories at Whitehall Historic House on from the 6th to 20th April. 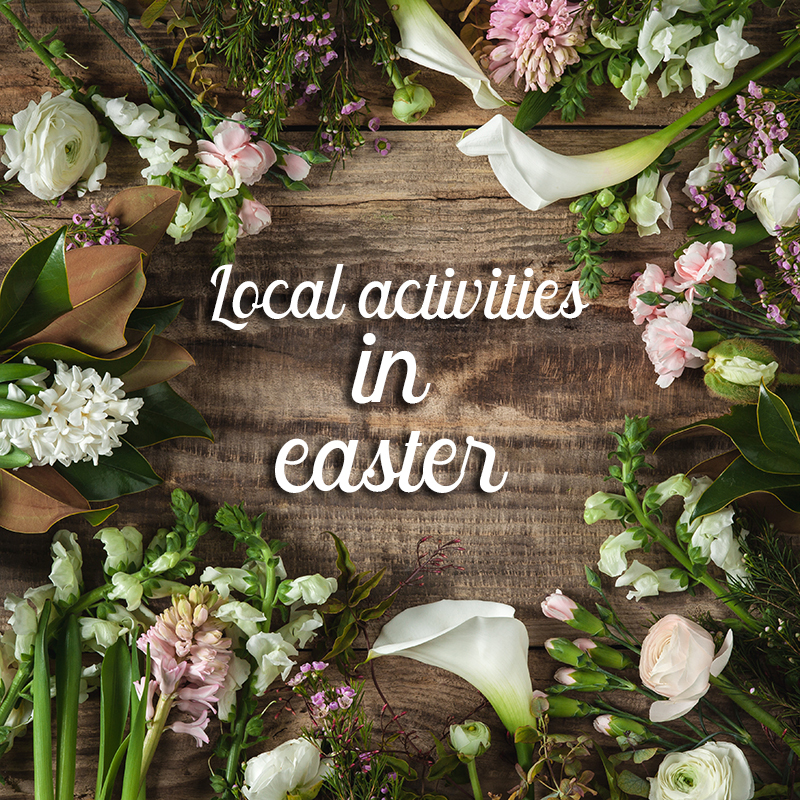 There are several activities over Easter for all the family. The Cadbury Easter Egg hunt is on 19-22 April 10-4pm. You can also take part in one of Morden Hall Park’s favourite traditions. For £2.00 you’ll be able to use one of our plastic ducks to join in a race down the river (11 & 12 April 11-3pm). There is also the Sensory Trail (6-18th April) or experience life as a woodland creature – Challenge your senses and conquer the obstacles (9-10th April). For more details or to book at the National Trust.